On Friday, Vilnius University hosted Antônio Augusto Cançado Trindade, Judge at the United Nations International Court of Justice. He met the Rector of the University prof. Artūras Žukauskas and, in the Minor Hall, gave a lecture “A Century of International Justice and Prospects for the Future”. The Rector noted with satisfaction that the first written modern Constitution in Europe was adopted in the Republic of Two Nations in 1791. Hence, our law and justice are deeply rooted in the world history of law. On this occasion, the Rector gave a present to the guest – the collection of the publications of VU establishment documents. According to the guest, the courts often see individuals only as passive observers, but in fact they are very important subjects of international law. If the courts, resolving cases, follow this erroneous point of view, the results can be catastrophic. Individuals have rights and obligations that arise directly from the international law. Courts in this regard must be vigilant and take extra care. The judge was born in Brazil – a country that never recognized the occupation of Lithuania and other Baltic countries. President Valdas Adamkus once said that the support of countries such as Brazil was one of the main sources of strength for the Lithuanian people, who after 50 years of repression and persecution restored a free and independent state. 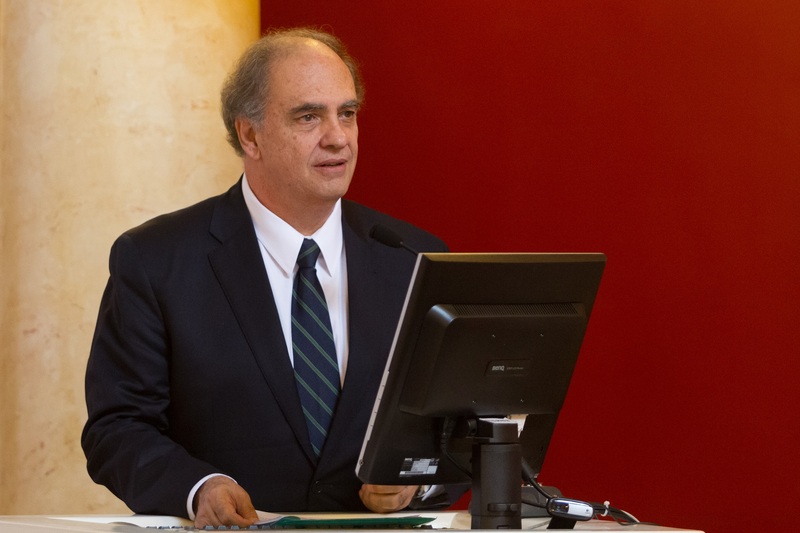 Cançado Trindade is the first judge of the International Court of Justice who has visited Lithuania. The judge is a renowned professor in the world, has written about 30 books and nearly 500 monographs, articles and other works. He stands out for his strong values –humanism, human dignity, Human Rights protection. 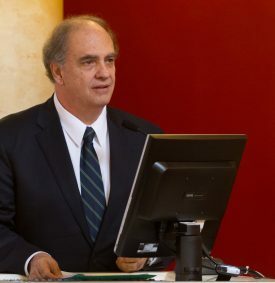 As Dainius Žalimas, Lithuanian Constitutional Court Chairman and VU professor, presenting Cançado Trindade, noted that his approach has formed out of a long and rich experience: serving as the Inter-American Court of Human Rights President, working with the United Nations, regional organizations and others. Defining the basic prospects for the future, the judge not only mentioned the basic types of state responsibility for violations of international law, but also discussed the development of the institute of interim measures, the insurance of compliance with international judicial decisions and underlined the importance of promoting harmonious development of international law.